2016 was a near-record year for consumer and retail M&A activity, with 58 megadeals valued at more than $1 billion—a consolidation trend that is expected to continue throughout 2017. Sixty-seven percent of consumer and retail executives surveyed by A.T. Kearney anticipated an increase in M&A activity this year. So far, major retailers are living up to the M&A expectations. In one example, Coach recently bought competitor Kate Spade after an alleged bidding war with Michael Kors, and both companies are now reportedly eyeing British luxury footwear and accessories brand Jimmy Choo. While closing the deal can be a time-consuming process, the real work begins once the deal is complete. M&A’s can be tricky processes for any business, but perhaps even more so in the retail industry. Consolidating brands comes with numerous challenges, but the biggest factors to consider are the differences between each brand’s customer, how they value each brand and their products, and what to do with existing and new product lines to keep customers—both new and old—interested. Naturally, many brand-loyal consumers have concerns when their favorite retailer is rumored to go through a merger or acquisition. And when it comes to fashion, consumers are rarely shy about stating exactly how they feel. What will happen to the brand’s authenticity? Will their favorite product get cut? Will the overall look of the brand change? Will prices go up? Whether it’s through direct consumer engagement like predictive analytics platforms, surveys, focus groups or social media, retailers have numerous tools for gaining a better understanding of what their target audience wants. What matters most is what companies do with this valuable information. Following the announcement of the Kate Spade acquisition, consumers took to Twitter to share their initial reactions, and they didn’t hold back. 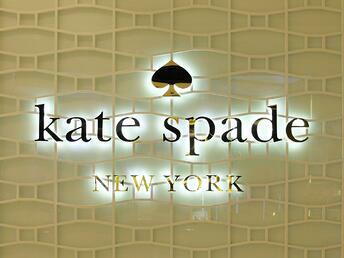 “Dear Coach: Please don’t change Kate Spade’s whimsical style,” tweeted another. If the initial reactions of the Kate Spade acquisition give any indication of what’s to come, consumers want the two brands to remain separate and the price points to stay the same, or even decrease. It’s imperative that Coach listen to these concerns and not sacrifice the identity of either brand or risk alienating loyal customers. Coach is still relatively new to the M&A game. The luxury retailer’s only purchase to date is the 2015 acquisition of designer shoe company Stuart Weitzman. 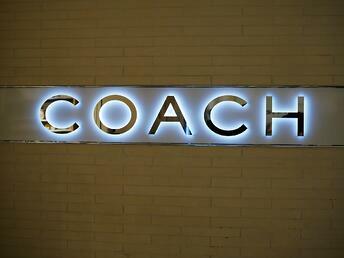 However, this is only the beginning for Coach, which is looking to boost its investment in becoming a multi-brand company. The Kate Spade acquisition—expected to be finalized in the third quarter of this year for $2.4 billion—is a good move for Coach, but ultimately benefits both companies. The deal will help Coach finally break through to the highly sought-after millennial demographic, a market that Kate Spade has captured through 60 percent of its sales. On the flip side, Coach will help Kate Spade expand into new markets and turn it into a larger, more global brand. Victor Luis, Coach CEO, believes their experience in opening and operating specialty retail stores can unlock Kate Spade’s largely untapped growth potential, especially in Asia and Europe. However, as with any acquisition, retailers aren’t just gaining opportunities from their new investment; they are also signing on for any existing or potential threats. For example, Kate Spade has recently turned to deep discounts to drive sales, which we’ve noted in the past is a dangerous strategy that can lead to brand deterioration over time. Luis has reportedly said one of his first moves with Kate Spade will be to cut back online flash sales and other large discounts. The other challenge for brands is learning to appeal to multiple customer bases. It can be difficult enough to manage and retain one group of customers, but there are additional complexities that come with acquiring another brand’s customers. Managing different customer profiles and priorities is a tricky balancing act. Surveys, focus groups and social media posts do not come close to giving the most accurate picture of what consumers are looking for in a brand. The most successful brands are the ones that understand the value of predictive technologies that incorporate the voice of their consumer into their product and price decision-making processes. In Coach’s case, it will be interesting to see if the company can maintain its solid base of consumers for both brands, while finding the right path to grow and cross-sell across brands.